The bathroom has many aesthetic features that are fun to update when you make renovations. A stylish, high pressure shower, brand new tile set or luxurious bath tub are all good fun to look for. The same cannot readily be said of the toilet, which is often considered as just a functional device that isn’t really worth looking at. This doesn’t have to the case, however, when you consider the broad range of modern loos that are now available. Not only are there many types of stylish toilet out there, but updating them is increasingly important if you want all of your ceramics to match. There’s no sense in getting a sleek new bath, only for the effect to be spoiled by a clunky old loo. 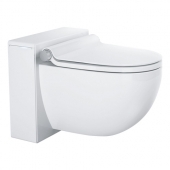 There are also a lot of features to consider in modern commodes that might surprise you. Next time you renovate, open up the budget to the possibility of a brand new loo. Best of all, designer brands don’t have to break the bank. Shop around online to find some discount deals. 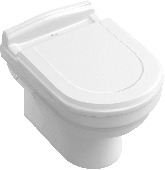 There are a few varieties of loos and washlets which are worth considering before you make any purchases. Remember that the larger fittings in the room need to be installed first, before tiling, for example. Also consider how much use you’ll get out of it; in many ways this is an investment. These common types may help you choose a new model. Floorstanding. The typical model is supported by a column. These are easy to find and install and are generally less expensive. Wall-mounted. These models use hidden supports to simply float on the wall, like a shelf. This is a rising trend and suits minimalist rooms. Rimfree. These high-tech units are designed without flushing rims. Rimfree loos are more sanitary, as bacteria cannot gather underneath. Concealed cistern. 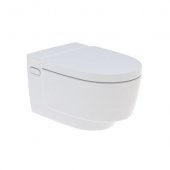 These hide the cistern within the wall cavity for a truly elegant, simple look. Note that they require a flush plate and special supports. Consider these types when you plan your new bath room. There are lots of ways to make the humble loo a little more interesting and a lot more impressive. One of the easiest ways to achieve this and stay within your budget is to look at specialist brands. Now that you’ve narrowed down your preferred type and have an idea of how it’ll fit into your design, you can consider the visual appeal. You don’t have to settle for a cheap model from the local high street store. Buy on the web for some great bargains that include designer, reputable brands. Remember to choose something that fits the style of the other ceramics in your bathroom; it may even be wise to stick to one manufacturer or range. Try Villeroy & Boch, Ideal Standard and Duravit for a selection of ceramic sanitary ware that will spark new ideas. 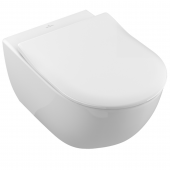 Villeroy & Boch have some great wall-hung toilets in the O.novo range that use their trademarked Aquareduct water saving technology. Also try the Villeroy & Boch Architectura range if you prefer a floor-standing toilet that sits close to the wall and has an all-in-one style. 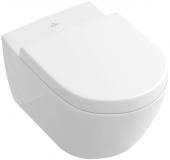 Villeroy & Boch Subway 2.0 is worth looking at for more minimalist options, including a rimfree design that cuts down on cleaning. Take a look at Duravit if you want to increase the designer feel. The Starck range includes a standing commode with a conical bowl and square, tablet-like cistern, sure to complement a contemporary room. 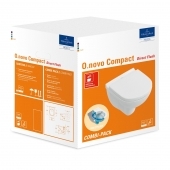 Duravit’s PuraVida series is compact and simple, great for a small flat. For more choice, Ideal Standard have over ten ranges that vary from budget models to the Contour range with a curvy seat and rimless design. 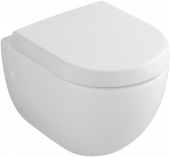 Ideal Standard’s SoftMood is a good choice for understated loos that will suit any room. Try Keramag’s Renova Nr. 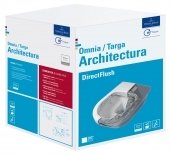 1 Plan range for concealed cistern models without flushing rims. Look at Keramag’s seat options too, which aim for seamless shapes. Finally, Laufen excel at displaying cutting edge style, with the Laufen Pro showcasing an updated take on the classic commode. These examples should get you started on designing the perfect bathroom. 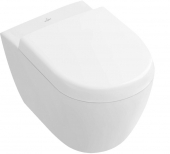 Choose a toilet that looks the part and suits your needs and you’ll never look back.